Electric Car Roadshow Coming Soon! 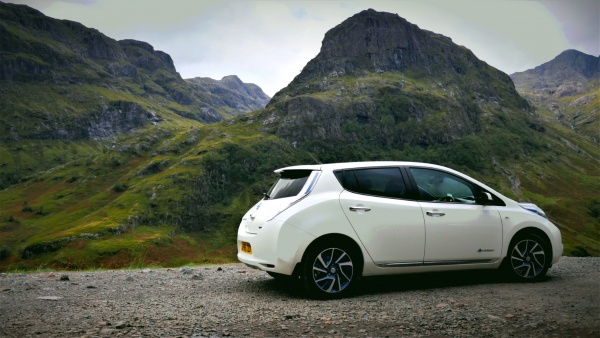 We are bringing more electric cars to Fort William in 2019 – so watch this space! During the summer of 2019 we will be repeating our very successful 2018 Electric Road Show, with all sorts of information, advice and experience available to help you learn about electric cars. We will have a range of electric vehicles for you to test drive such as the popular Nissan Leaf, Tesla and BMW i3. The finances of electric cars can look daunting, but government grants, interest free loans and very low running costs can all combine to make them a very reasonable proposition. They are especially useful for high mileage drivers who rarely go more than 200 miles in a single day. With ever increasing concern about climate change and local air quality this is the time to get serious about electric vehicles, with no exhaust emission from the vehicle and a rapidly improving electricity supply they are an important change which is coming increasingly fast. The national grid publish ‘future energy scenarios’ each year and the estimates for electric car numbers in the UK is increasing every year, largely due to the improved capabilities and reducing price of models available. While the Teslas may have the most impressive range, and price tag to match, there are more models available every month, with 200+ miles real world range being possible now for around £30k, but second hand models are coming into the market at all price points. If you would like any further information please contact us on 01397 700090 or info@lochaberenviro.org.uk.